This recipe is a stripped down chicken fajita with only a few ingredients. But put together and you have a wonderfully delicious meal that will satisfy your cravings. 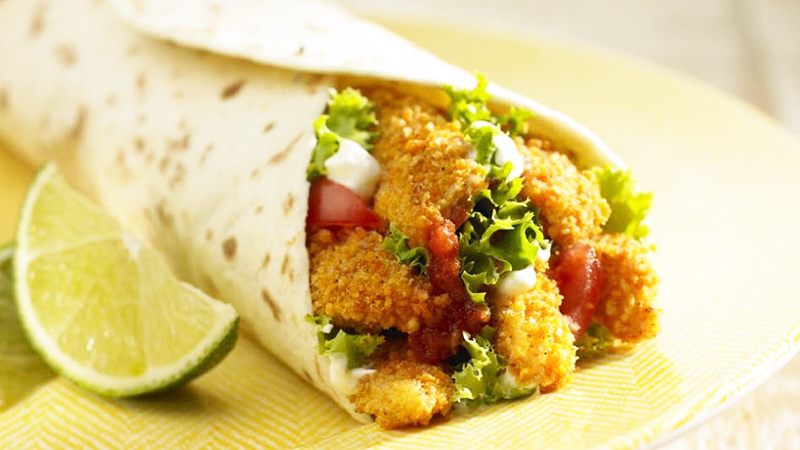 The crispy chicken strips are the star of the show with juicy tomatoes and crunchy lettuce providing supporting roles with lashings of sour cream and our tasty ‘Thick ‘n’ Chunky Salsa’ topping off this tasty cast. 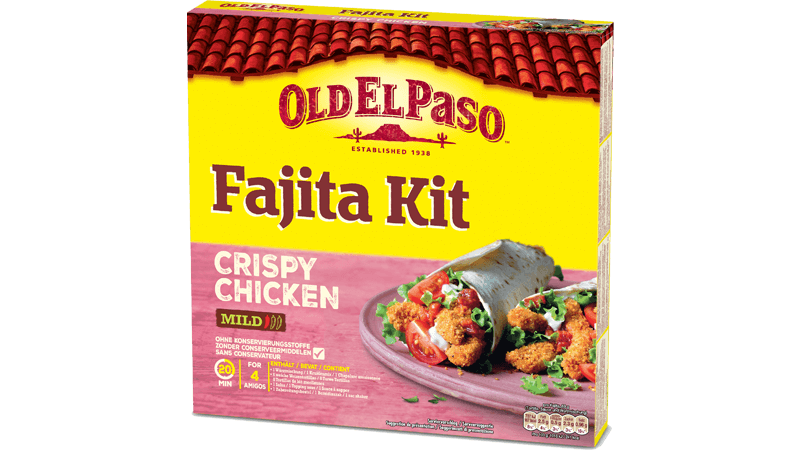 Get together with your family and friends and enjoy this simple but delicious crispy chicken fajita! Heat up the oven to 225°C, (205°C for fan assisted ovens), gas mark 7. Throw the chicken, 2 tbsp of vegetable oil and the Crispy Crumb Seasoning Mix into the shaker bag and shake until the chicken strips are coated in the rich spices. Pierce the Soft Flour Tortillas packaging and microwave on full power for 35-40 seconds. To heat in the oven, remove the packaging, separate the tortillas and wrap them in foil. 10 minutes at 200°C (180°C for fan assisted ovens), gas mark 4 should do it. Keep them covered until ready to serve. Straight from the oven, lay the crispy chicken on the warm flour tortillas and spoon over the cooling sour cream, juicy tomatoes, crunchy lettuce and our Mild Original Salsa. Then gather round, plate up and wolf them down.